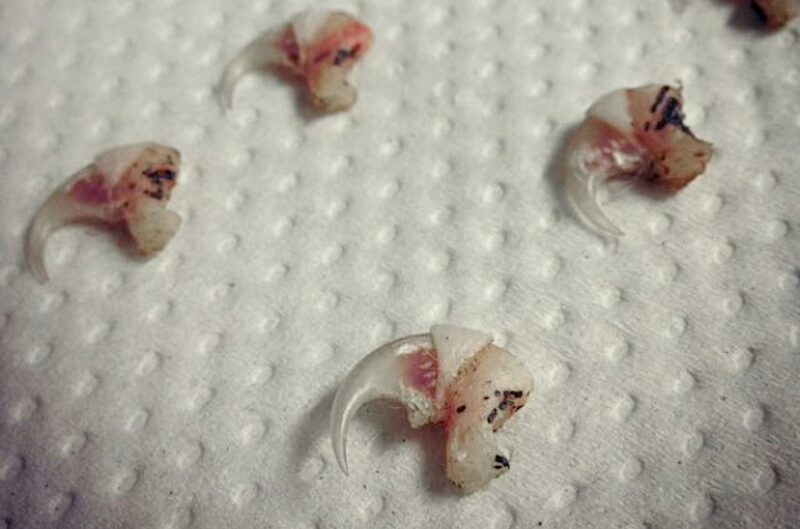 Photo of laser declawed cat toes and claws. 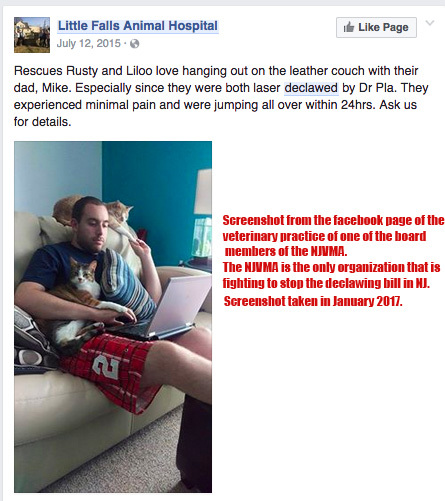 The NJVMA hired this firm to help stop the declawing bill in New Jersey. Here is the official note they sent to the New Jersey legislators for the vote on the bill on Monday, Jan 23, 2017. RE: A-3899; Prohibits surgical declawing of cats and other animals. oppose the above captioned legislation. No other state currently prohibits this practice. o Elderly cat owners who live in facilities that require a cat to be declawed. Here is the full email list of the legislators who will be voting for the declawing bill on Monday, Jan 23rd. Please copy all these emails, put “Vote YES on A3899” in the subject matter, and send them all an email and ask them to please VOTE YES ON A3899, the bill to ban declawing. You can write more but this is all you need to put in the email. 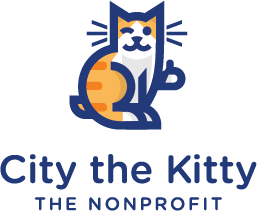 ALSO PLEASE HELP INSPIRE PURINA AND MARS INC. TO DO THEIR PART TO HELP END DECLAWING BY SIGNING THESE IMPORTANT PETITIONS! 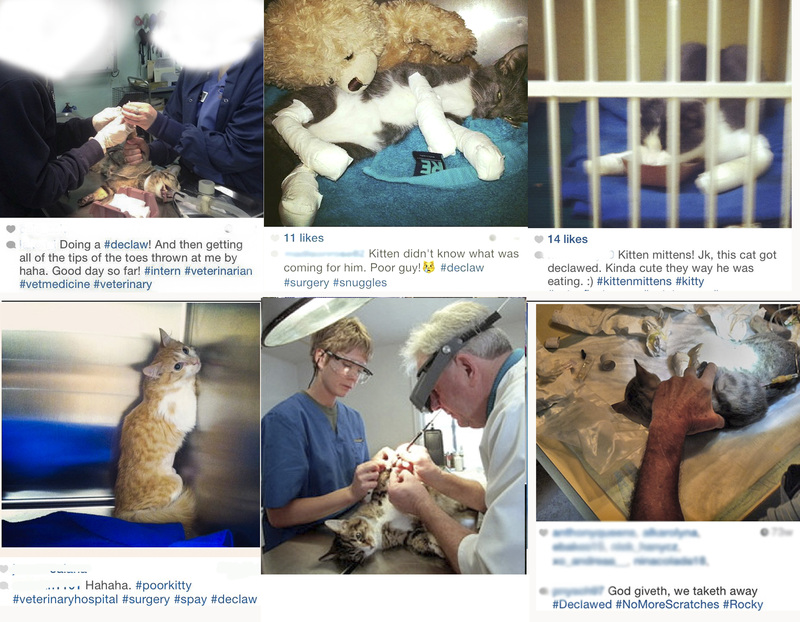 PLEASE DON’T SIT BACK AND HOPE DECLAWING WILL END. YOUR SIGNATURE WILL MAKE A DIFFERENCE! 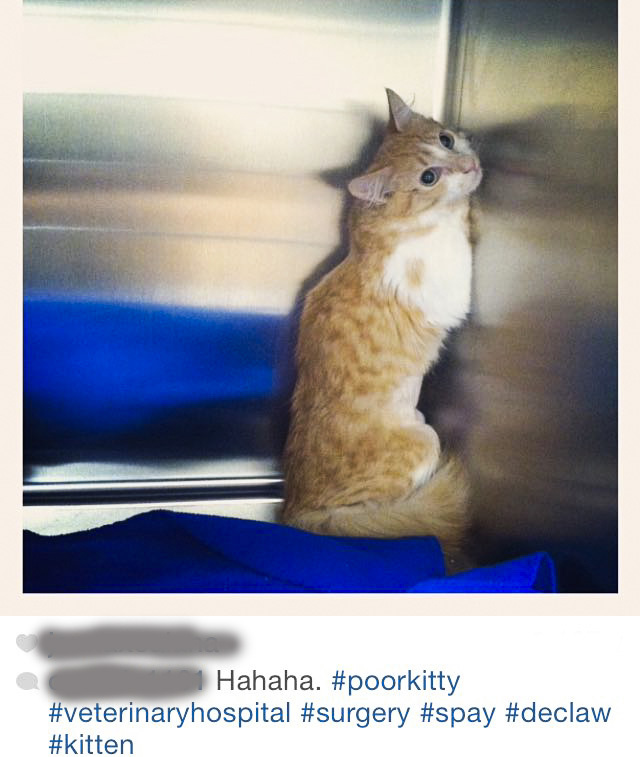 Photo posted on Instagram by a veterinary professional. Around 2 million cats a year are declawed in America. They experience pain, fear, and lots of suffering from this mutilating and inhumane procedure. Photo from facebook from Dr Neal Beeber, NJVMA board member’s practice.